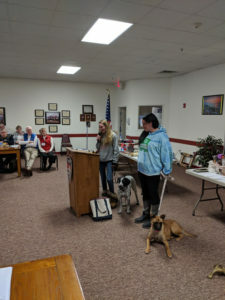 Marshmallow Shelter Program presentation at April meeting. Hei alle sammen!! (Hi all) The sol (sun) is shining bright, the storm has passed (to the South…thank goodness), the temperaturer (temperatures) are supposed to be in the 50’s and into the 60’s this week. It is getting more clear to me that Spring is about to skje (happen)…finally!! To update you, our April Foundation fundraiser… the Stille (Silent) Auction, went very well. Unofficially, we made about $1,100 which is about $100 more than last year. A big “Thank You” to all that brought items to give away and for others to purchase. Hopefully, everyone went home either lykkelig (happy) that they purchased something, or happy that they got rid of something, or both. Your gifts of items or dollars will be used wisely to help those in our samfunnet (community) who experience need in their family. The Board received a $200 Gift Card from SON Headquarters for the good recruitment efforts of members at our last Membership Dinner. After much diskusjon (discussion), we elected to put that $200 in the projector fund, which has a balance of about $450-$500. If you wish to donere (donate) towards this cause, please provide a check to one of the board members. A board komiteen (committee) was established to begin work on the Scandinavian Festival for 2019. If you would like to work as a committee member, please contact: Dorothy Hoover, Carol Turner or Bonnie Mohs. And finally, we will basically operere (operate) our meetings much like we have been doing. Our survey results were very positive and with good comments. The Board will work to keep meetings to about 30 minutes and programs to about 45 minutes. Takk (Thanks) for your input. Velsignelser (Blessings) on your reise (journey) through life. This months program will be Bob Satterlie from Pelican Rapids. He is a pastor in Pelican Rapids and usually has Fridays as his day off. He has written a book called “Friday Poems”. He tells me that writing poems has been a hobby of his for quite some time, and Fridays are when he puts his thoughts on paper. He will have his book for sale if anyone is interested in making a purchase. Looking ahead to June, Trio Con Brio from Sweden will be returning to Detroit Lakes for another concert. We have been fortunate to have them entertain us in the past and know that it is an evening of beautiful music. A change in location: This year the concert will be held at First Lutheran in Detroit Lakes on June 19, at 7 pm. A free will donation and open to the public. Watch for posters and newspaper information. Our silent auction last month was a huge success! All proceeds go to community based projects, so thanks to all for your contributions and purchases. Hope to see many of you in May, enjoy the warm weather! Happy Spring! Even though it’s late in coming, there is hope we will have warmer weather, the robins are back. A great big thank you to all who participated in our Silent Auction for the foundation fund raiser in April. We had some wonderful donations, the baked goods all looked yummy, the Big Roc meat was a success and all the other items as well. There was such a nice variety of things that you brought. Your financial support means we will be able to continue giving Christmas gifts to needy families as well as donations to other organizations in the community. We raised over$1,100 dollars this year, amazing! We will be deciding how to distribute these funds at our next board meeting, if you have suggestions please let me or any board member know. STAMPS: Remember to save the stamps (leaving a quarter inch around the edges). Please bring these to Dorothy Hoover. 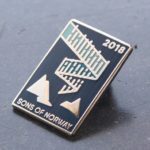 The 2018 Sons of Norway new member campaign is underway. Recruiting members will be recognized with this exclusive pin. The beautiful design celebrates Norway’s mountains and Northern Lights. Please send warm thoughts (varme tanker) and prayers (bønner) this month to Terry and Betty Carlisle and Larry and Cheryl Olson on the passing of Terry and Cheryl’s sister Pat Burzette. Also sympathies to Chuck and Gothe Jensvold on the passing Chuck’s sister.We also send prayers to JoAnn Schott and family as JoAnn’s granddaughter was born pre-mature and is still in NICU. Also to Bob Hoover who is undergoing treatments for bladder cancer that has returned. If you know of someone who should be added to our Solskinn Hjørne (Sunshine Corner), please email Dorothy Poffenberger at dndpoff@arvig.net or call 218-847-8288. The “Troll’s” road from Trollstigen to Geirangerfjorden, Norway. Have you ever had a scary adventure? If your in Norway this one will do the trick. 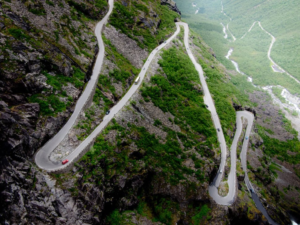 Trollstigen-the Troll’s Road. Steep slopes and sudden turns to see stunning surrounding mountains and maybe troll’s humps. Norwegians do not recommend traveling this road if you have problems with height. It resembles a giant troll’s back. In spite of all the risks, unbelieveable waterfalls and mountains make the road a very popular tourist attraction drawing around 600,000 drivers every season which lasts from May or June to October or November when the way is not blocked with snow. If Norway is having our winter weather, I would wait till after June to drive. They still recommend to check weather forcasts for the foggy days which could hide all the beauty. Each of the 11 hairpin turns has its own name, often named after the person who supervised the construction work on that particular section. Some of the road is carved into the mountain and other places built in stone. Opened in 1939 it wasn’t long before it became a tourist attraction. There is a restored hiking path to climb for those who wish to experience Trollstigen by foot. Trollstigen is part of the National Tourist Route Geiranger. 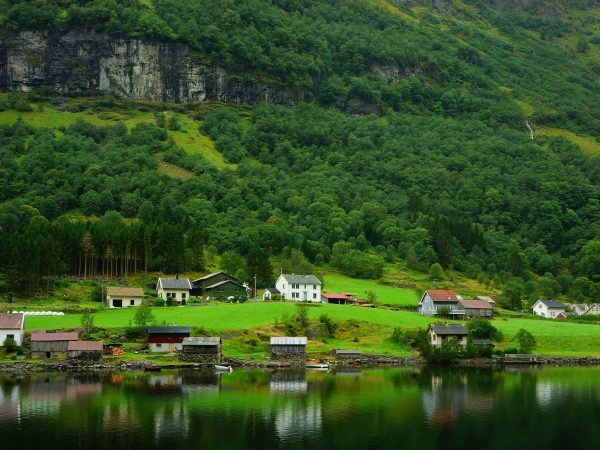 A two-hour drive that runs all the way from Trollstigen to the bottom of the famous Geirangerfjorden. So many things to see in Norway. What a great adventure! Till next time, Happy Spring! Things are starting to grow. Hurray, It’s the 17th of May! Dressed in traditional Norwegian dresses, bunader, the people of Bergen process in the Syttende Mai parade down the Bryggen, or wharf, a UNESCO World Heritage Site. 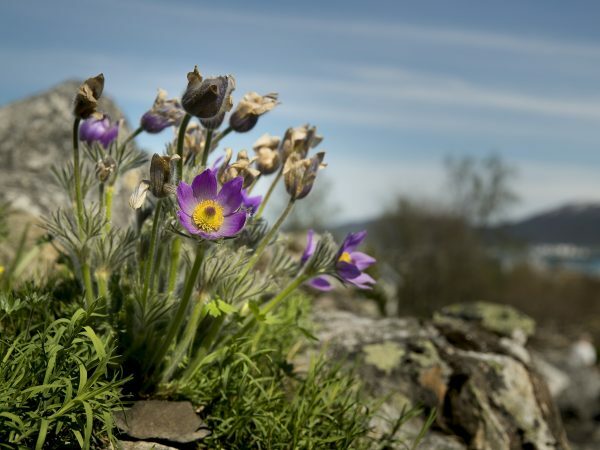 As the nation’s most celebrated holiday, Syttende Mai honors the anniversary of the signing of the country’s constitution in 1814. Over time the day and what it represents to the people of Norway has evolved greatly. Historically, May 17 stood as a day of politics involving speeches and rallies; today it is filled with national pride, festivities and tradition. 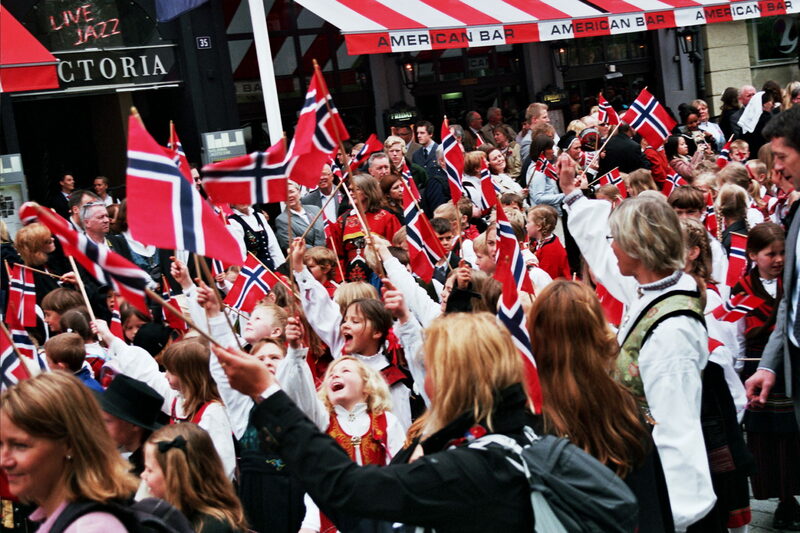 Each year, thousands of people in Norway—and around the world—take part in waving Norwegian flags, marching in city parades and professing their love of Norway. Many of today’s festivities are centered on music, food, children and graduating high school students. The largest parade takes place in Oslo and consists of more than 75 schools and marching bands, and is even attended by the Royal Family. 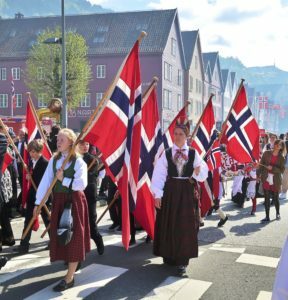 For more facts about Syttende Mai and details on how the day is celebrated, check out the Sons of Norway blog at https://www.sofn.com/blog/2017/05/16/148/syttende_mai_10_fun_facts. Also, while you’re celebrating with family, friends or your lodge, remember to take lots of photographs. 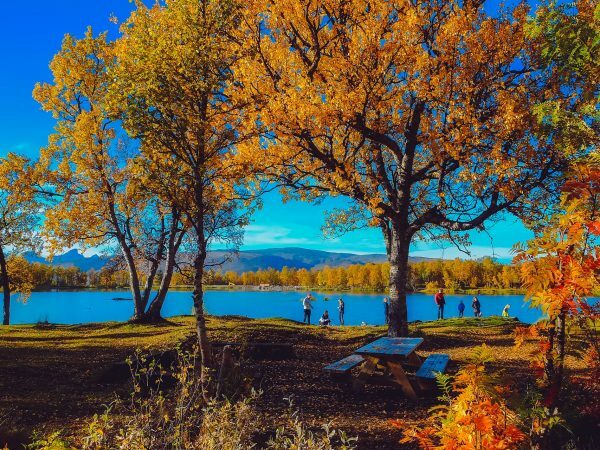 The Viking magazine’s District Happenings Section is the perfect place to showcase your Norwegian celebrations. For information on how to take and submit photos for consideration in the Viking magazine District Happenings Section, check out the updated Viking Photo Guide found in the Member Resources section of the website: https://www.sofn.com/_asset/f1xdil/district_happenings_photo_guide_2018.pdf. 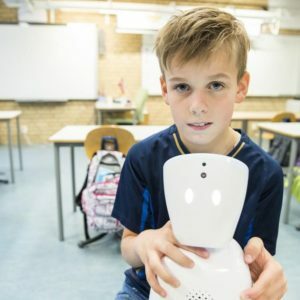 Norwegian startup company No Isolation is helping children and young adults around the world use robots to battle loneliness and involuntary isolation. Founded in 2015, No Isolation’s mission is simple: to be a thought leader on issues related to loneliness and find solutions for individuals living in vulnerable situations because of it. Research has proven that social isolation and loneliness among children in particular can lead to many lifelong physical and psychological disorders like depression and anxiety. No Isolation believes a big factor in battling this social issue is simply allowing these individuals to participate in everyday normal life. To help in this endeavor, No Isolation created the world’s first telepresence robot called AV1. Specifically developed for children and young adults unable to attend school due to long-term illnesses, AV1 allows them to participate in classes, learning environments and social settings from home, hospital bed or anywhere else they might be. AV1 is built like an avatar and can be brought indoors and outdoors. It acts as the eyes, ears and voice of the student from inside the classroom as they watch, participate and interact through a hand-held tablet. AV1 is not only instrumental in helping these students learn in ways not possible before, but it also lets them maintain relationships with their school friends—making any return to school easier and more comfortable. No Isolation currently helps more than 400 individuals across the globe, and has been granted The European Commission’s Seal of Excellence Certificate. The company also took home awards for Best Social Tech Startup and Best Newcomer at the 2017 Nordic Startup Awards. Between Britain and Denmark, in the middle of the North Sea, there was a vast land mass 6,000 years ago. People lived there for thousands of years. [In the picture shown] you see a part of a human skull and a cattle bone in which a pattern has been cut. The pattern has been made by humans. The skull is dated at around 11,000 years old, while the cattle bone is around 11,500 years old. was found in the North Sea. But these bones were not found in an archaeological excavation. Both of them have been pulled from the seabed in the North Sea between Britain and Denmark by fishing boats over the past 10 years. And no one threw these bones into the North Sea at any point. It’s been no more than 6,000 years since this was dry land. A dense land area of almost 750,000 square kilometers is now below sea level, and both humans and Neanderthals lived there for a long period of human history. The area is called Doggerland. It was probably a fertile region, and among other things, mammoths have been found at the bottom of the North Sea. This is also not the first time human bones have been pulled up by fishing boats. In 2009, a Neanderthal skull was pulled from the bottom of the North Sea. It turned out to be more than 40,000 years old. The sea level was much lower at the time than it is now. While northern Scandinavia was covered by thick ice, about 13,000 years ago the sea level was around 60-80 meters below today’s level. As the ice melted, Doggerland became slowly but surely flooded. Hence, the living area for the people who lived here also disappeared. The skull is not complete, so there’s not much for scientists to interpret from it. A description of the skull and cattle bone was published in the journal Antiquity. The researchers can’t tell if this was a woman or man, but it was an individual between 22 and 45 years old. Bone analysis shows that the person probably lived mainly from food that came from farming. The animal bone comes from some kind of cattle. The most sensational thing about this leg is that someone has embellished it. Someone carved several rows of a zigzag pattern with a thin, pointed tool. There are few examples of bone art that are this old, so it’s an amazing stroke of luck that this particular bone was drawn from the seabed. 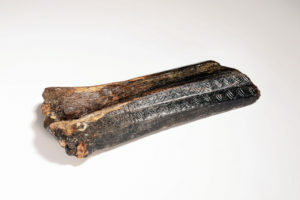 Dutch researchers mention a few similar discoveries from Europe: A horse jaw from Wales, moose antlers from Poland and a deer antler from France, all with similar motifs, and all dated as being between 10,000 and 12,000 years old. There are probably many more remains from animals and humans who lived on Doggerland on the seabed in the North Sea, so there is still a lot that could emerge.